This video explains how to create a CSV in realtime in order to write requests from a specific IP address inside a CSV file. This video explains how to synchronize the system clock with NTP service. This video describes how to share your personal categories in order to let users to see categories content wihout need to be logged. 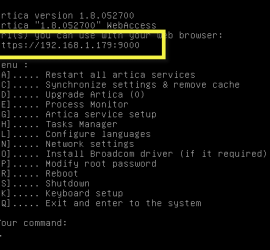 How to test Artica on VMWare Workstation ?